(Natural News) Spider webs are known to be among the strongest natural materials known to man. For example, the webs of a type of spider found in Papua New Guinea are so strong that fishermen use them as handheld fishing nets. Additionally, in 2010, scientists discovered that the web of a species of orb weaver in Madagascar is the strongest biological material on the planet. Now, a team of researchers from the Graphene Flagship has discovered a way to make spider silk even stronger using graphene-based materials. 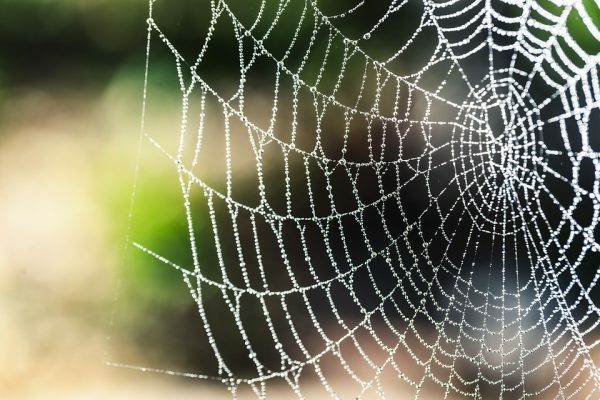 Science Daily is reporting that silk spun naturally by spiders that have had graphene and carbon nanotubes introduced into their environment is up to three times stronger and 10 times tougher than ordinary spider silk. The study was conducted by researchers from Italy’s University of Trento and the Cambridge Graphene Centre at the University of Cambridge in the U.K., and was published in 2D Materials. So, what is graphene in simple terms? Essentially a layer of pure carbon tightly packed together in a honeycomb-shaped lattice, graphene is the thinnest, lightest and strongest compound known to man. It is also the best conductor of heat at room temperature, and the best-known conductor of electricity. Researchers are looking at ways to harness its incredible strength in the development of Kevlar vests and even for use as a building material. Natural materials have some incredible properties that simply cannot be duplicated with man-made creations. Harnessing and even expanding these natural properties is therefore being eagerly researched by scientists around the globe. How to enhance the amazing mechanical properties of spider silk is one of the areas being keenly investigated. “Humans have used silkworm silks widely for thousands of years, but recently research has focused on spider silk, as it has promising mechanical properties. It is among the best spun polymer fibres in terms of tensile strength, ultimate strain, and especially toughness, even when compared to synthetic fibres such as Kevlar,” said Nicola Pugno from the University of Trento. “Our study looked at whether spider silk’s properties could be ‘enhanced’ by artificially incorporating various different nanomaterials into the silk’s biological protein structures. This is the highest fibre toughness reported to date, and a strength comparable to that of the strongest carbon fibres or limpet teeth,” she added. Though the researchers stress the need for further studies, they are excited about the endless possibilities of this composite inspired by nature.